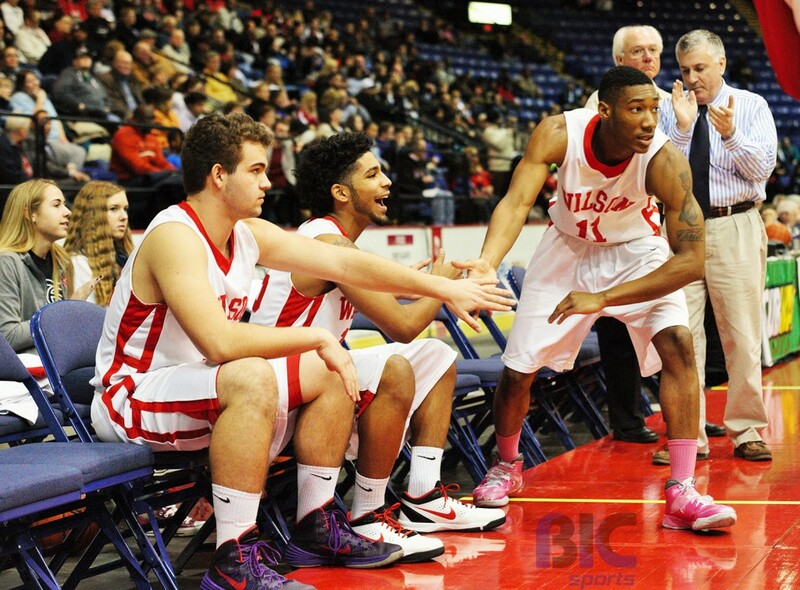 Wilson took on Reading High Wednesday night during Berks Conference semifinals action at Santander Arena in downtown Reading, Pennsylvania. Travaun Coad scores his 1000th career point on an exciting evening for Wilson with their win over Reading. Wilson trailed during the first half of play. The Bulldog’s Travaun Coad scored his career 1000th point on a field goal early in the first quarter. 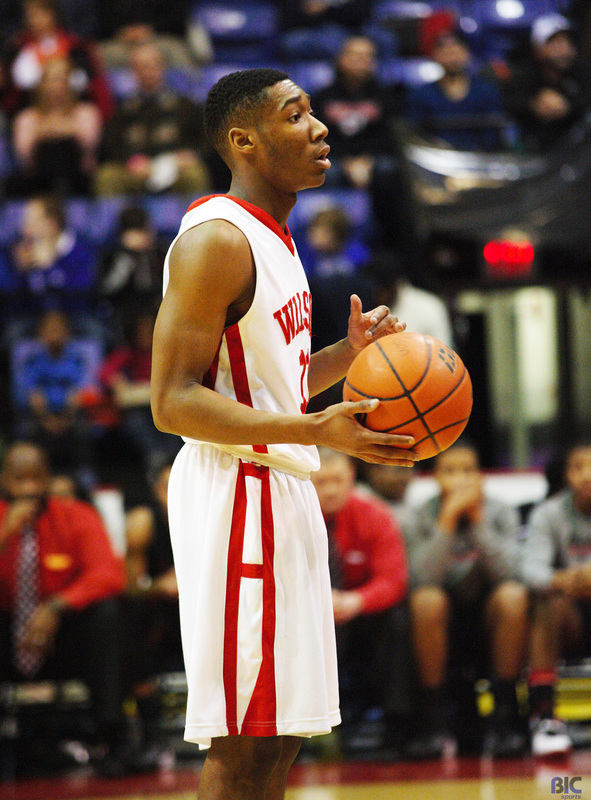 The Reading Red Knights held a 14-10 lead over Wilson after one and pushed to a 7 point lead in the second quarter. 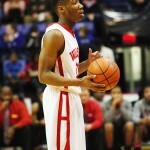 However, a late rally lead by Coad and Jaylin Calloway brought Wilson within 1 point of Reading’s lead at half. Wilson needed a strong third quarter to surpass the Red Knight lead. Calloway cashed in for a three-pointer early in the quarter, a defining swing of momentum for the Bulldogs. After three, Wilson took Reading with a 29-25 lead. Reading did not falter, however. The Red Knight’s Lonnie Walker buried a late three pointer in the fourth quarter, bringing the Red Knights to within 2 points of the Bulldogs. Coad’s missed foul attempt and a Red Knight rebound allowed for a late Reading scoring opportunity. Reading’s forced shot fell short and a Wilson rebound secured a Bulldog win. Wilson bested Reading tonight, 49-46. Coad and Calloway led for the Bulldogs with a combined 30 points. 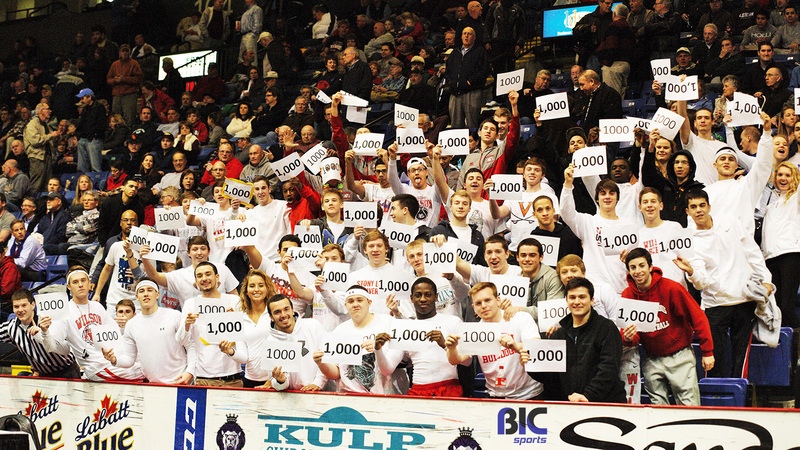 Wilson’s student section anticipates Travaun Coad’s 1000 point milestone. With tonight’s win, Wilson looks to take Berks Catholic on Friday during Berks League Championships. Tyler received a B.A. in Professional Writing/Environmental Science: Geography from Kutztown University of Pennsylvania in December 2013. Among writing, Tyler is an avid outdoors enthusiast and has completed backpacking trips in Death Valley, Yosemite and Sequoia. Tyler actively supports the Philadelphia Union.